It is recommended for those who want to use a small amount because the price is cheap and the size can be selected in various ways. This review is about item#42118797. To make it a classic style, I attached it to the seat. Although genuine products are plated, they are rusted mostly so we used stainless steel this time. I am satisfied with how to shine brightly. I bought two sets after. This review is about item#42118885. I was searching because the screw of the pump was going wrong, but when I was not able to find it easily because it was a special screw thing, I was saved in your website. This review is about item#42119034. I was satisfied with the firm making. Thank you very much. This review is about item#42118772. I used it as a mounting bolt of a snow removing machine shooter. If there is handling of this bolt in a shape that can be said a little special, It is helpful to buy genuine parts online without having to order them at the store. This review is about item#42119131. This review is about item#42118955. In installing an existing fence, the length of the original bolt was insufficient and I was looking for an external item. It seems that it was well paid and I am satisfied. This review is about item#42119007. I bought it for light tiger to install my own work piece. There is no dissatisfaction about the product, but after all it takes some time to use this bolt. This review is about item#42118991. The price is high but this dimension was not available, it can be fixed perfectly with an end mill of 6mm pilot hole. This review is about item#42119052. Use it as a bumper bolt. 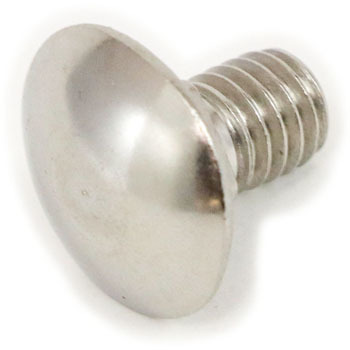 Although genuine bolts are made of plating, they are exchanged for stainless steel. This review is about item#42119174.